Dry: 575 lbs., Wet: 2,335 lbs. 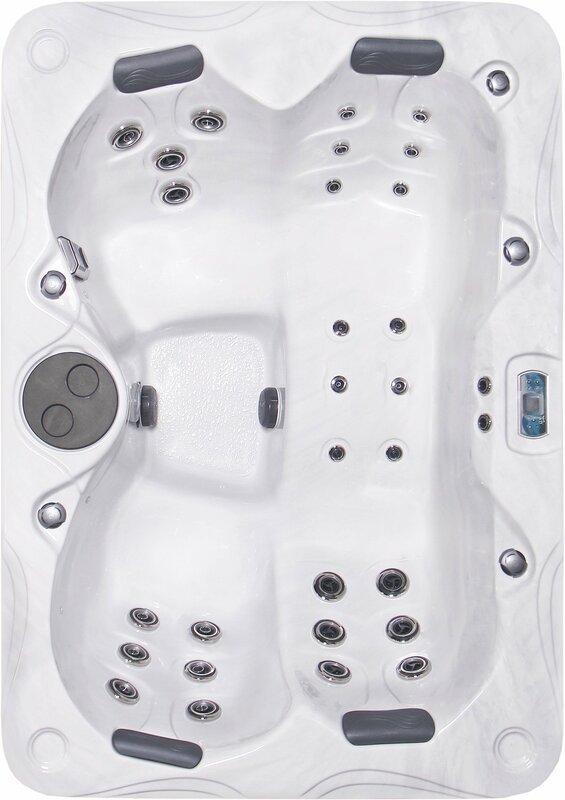 The Carmel premium hot tub from PDC Spas is the perfect union of advanced space saving design and industry leading hot tub technology, for an experience that will forever change the way you view hydrotherapy. A compact rectangle design spans 84" x 60" with a depth of 33" making it the ideal getaway for up to three full-size adults. The seating arrangement features a reversible lounge, as well as two contoured chairs with deep bucket seating. 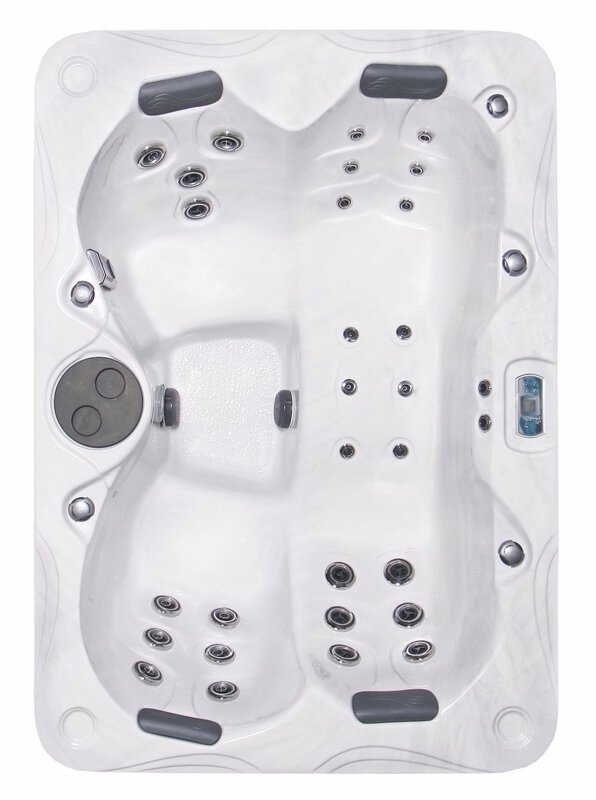 The Carmel may be smaller in stature but that does not take away from its power and performance hot tub features. With 28 adjustable hydrotherapy jets at your command, PDC Spas makes it possible to relieve tension and enjoy the health and wellness benefits of warm water massage even in more confined spaces. Every Carmel hot tub comes standard with premium upgrades including, but not limited to, PowerFlo™ filtration, TemperLok™ heat trapping design and Prism™ LED Lighting to complement your experience.